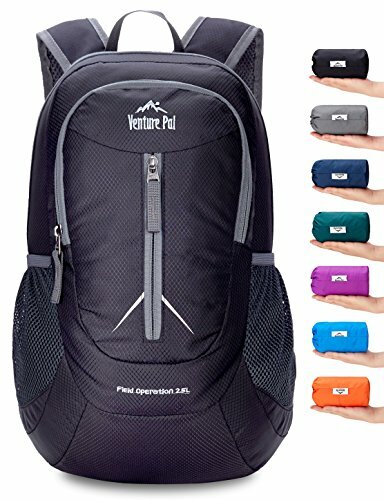 Packable Lightweight Backpack - LOTS Of Colors - HOT Price with New Code! Packable Lightweight Backpack – LOTS Of Colors – HOT Price with New Code! Coupon code 5YHKVNHB deducts $7.20. Several colors are available! DURABLE: Made with high quality tear and water resistant material, delivers long-lasting durability against daily activities. Heavy duty 2-way SBS metal zippers across the backpack available. Plus, longevity is further enhanced by bar-tacks at major stress points. LIGHTWEIGHT & COMPACT: Super lightweight and easy to folds into the small bag to fit anywhere, and convenient to unfold it when you reach your destination. To avoid overweight charge, simply unfold it from your checked bags and use it as a carry-on for your excess baggage. A must have for every trip. LARGE CAPACITY & MULTI COMPARTMENTS: 25Litres storage space-A true space saver. One main compartment with two spacious section to hold you laptop, clothes, and travel gears organized. Two outer zipped pockets are great for quick access such as camera, pens, guidebooks. Moreover, there are two mesh pockets to keep bottles or umbrella. COMFORTABLE: Plenty of breathable padding on shoulder straps to keep your shoulder cool and dry, and greatly relieve the stress on your shoulder. Ultra lightweight daypack to carry your day essentials comfortably. VERSATILE & ACCESSIBLE: Having a volume of 25L and spacious compartments, this packable backpack is perfect for day-to-day use or day trips, vacation, travel, day hikes, school, camping and shopping, and great gift for everyone. Additionally, we promise - LIFE TIME WARRANTY - exchange, return, whatever it takes.